Featuring free access to the spa and wellness area for all guests, Kurhotel Skodsborg offers 3 restaurants on site and free parking. The spa features a sauna and hot tub. A wide range of massage, spa and beauty treatments can also be booked. Copenhagen is just a 20 minutes' drive away. 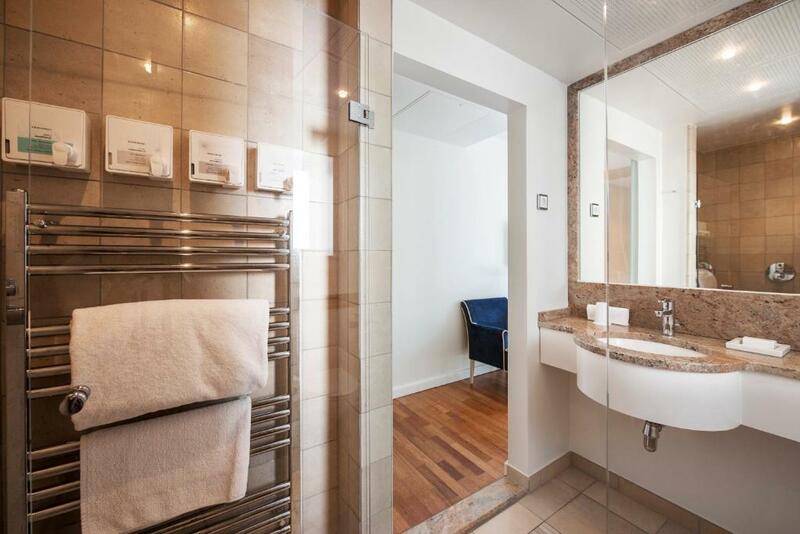 At Kurhotel Skodsborg, all rooms include a TV, seating area and private bathroom. WiFi is free. The sea-view restaurant offers modern Nordic fine dining with seasonal ingredients, herbs from the garden and freshly-baked breads. The comprehensive wine list completes the dining experience. The Brasserie offers more casual dining yet still focused on local produce. In the lobby, guests can take a coffee break, browse the reading collection or simply relax. Bicycles can be rented on site. Skodsborg Strand Park is 250 metres away. Skodsborg Station is a 10-minute walk from Skodsborg Kurhotel. Please note that the minimum age to use the hotel's spa and fitness facilities is 15 years. This room has cable TV and a luxurious bathroom. Includes access to the fitness centre and private jetty. .
South-facing rooms with views of the Øresund Strait or the garden. These spacious rooms include a seating area, cable TV and an in-room safe. All older children or adults are charged DKK 500 per person per night for extra beds. Your experiences are very helpful to other travellers. On a scale of 1-5, rate the equipment you have used during your stay at the hotel Kurhotel Skodsborg and express your opinion. Your opinion is important! I certify that this review is based on my own experience and is my genuine opinion of this hotel (Kurhotel Skodsborg), and that I have no personal or business relationship with this establishment, and have not been offered any incentive or payment originating from the establishment to write this review.